Multinational company specialized in Tobacco field. Международная компания, владеет ведущей системой онлайн-платежей и средой для ведения электронного бизнеса. International company in Tobacco field is looking for a person to execute a complete support of logistics & administrative issues, as Logistics Assistant. If you have passion for problem solving and providing world-class customer service, then we want to talk to you! We are a growing Canadian Moving Company and are looking for a talented customer satisfaction and claims resolution specialist. International company in Tobacco field is looking for a person to manage and implement Customer Care programs and ensure that the customer services delivered meet consumer expectations and correspond to our strategy and internal standards, as RRP Customer Care Executive. 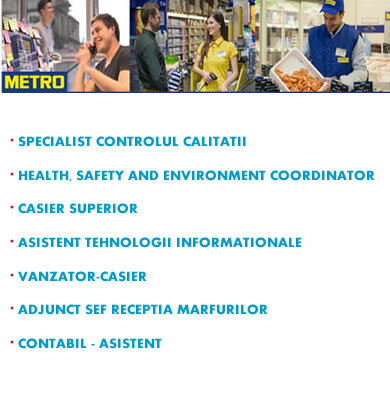 Compania: Companie internationala specializata in B2B pe teritoriul Republica Moldova. Obiectivul postului: Dezvoltarea Businessului pe piata RM. Our office in Chisinau is looking to hire a highly experienced, enthusiastic and ambitious Customer Support. We are a fast-growing Canadian moving company. We provide residential and commercial relocation services. Companie internațională ce activează în Republica Moldova în domeniul agrar. International company specialized in mechanical design and management consultancy. Founded in 2012 in the result of fifteen years of consolidated experience of the foreign partner, in marine engines, aviation, industrial and mechanical transmissions design. If this vacancy sounds interesting to you, please send your CV (English) to the HR-Consulting e-mail: ba50@search4staff.com ; Please, indicate the relevant vacancy code (MDE) in the subject line or CV. To apply, please submit your CV in English to HR-Consulting e-mail: tv50@search4staff.com ; Please, indicate the relevant vacancy code (CSO) in the subject line or CV. ●	Identificarea problemelor / erorilor, înțelegerea / investigarea și analizarea lor, furnizarea de metode și soluții pentru diverse probleme. ●	Administrarea PBX și rezolvarea problemelor. Configurarea și întreținerea consolei și softphone-urilor. ●	Păstrarea documentației privind produsele hardware și software ale companiei. ●	Program modules for ERP and homemade applications. ●	Write documentation on programs. About company: Founded in 2010, the company is providing accounting, payroll and HR administration services for businesses in key European countries. ●	Seeks out new and specialized channels for recruiting for the organization. ●	Întocmirea rapoartelor de activitate. ●	Permis de conducere Cat. B. ●	Understanding and implementation of security and data protection. ●	Official employment in an IT Company in a dynamic startup environment. Despre Companie: companie care livrează cea mai mare viteză de internet fix din Republica Moldova. 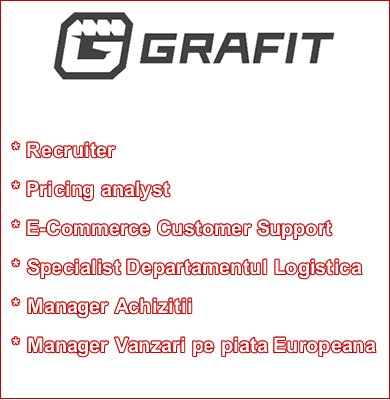 International company specialized in IT field. Compania internaţională, producător si distribuitor a materialelor de construcții. You will develop intelligent automation solutions which will automate business processes. - Разработка, внедрение и контроль за исполнением должностных инструкций, положений и пр. The project is aimed to build and maintain web, mobile and desktop texting platform. The project will employ latest cutting edge technologies and architectural approaches to guarantee that the technical solutions being built addresses the business requirements and match the Client’s standards. ●	Good spoken and written English. ●	Ability to organize workload taking full responsibility for what you do. Interested candidates may send CV to HR-Consulting (www.search4staff.com) email address: rr50@search4staff.com ; Please, indicate the relevant vacancy code RJSR in the subject line or resume. Interested candidates may send CV to HR-Consulting (www.search4staff.com) email address: rr50@search4staff.com ; Please, indicate the relevant vacancy code JBSR in the subject line or resume. Зарплата: 1400$ в месяц чистыми. Angajăm hamal-expeditor, inclusiv studenti(lucram si scimburi de noapte) la produse de panificaţie la brutaria „SAFRAN” din Chişinau, aflată pe adresa Iazului 3/1. Oferim condiţii bune de lucru, salariu atractiv, pachet social complet.